The EUR/USD currency pair continues testing the resistance level, one can consider selling the pair with the tight stop. The closest target is the test of the support level in the area of 1.3020. After the price breaks this level, we should expect the pair to start falling down into the area of 1.2855. 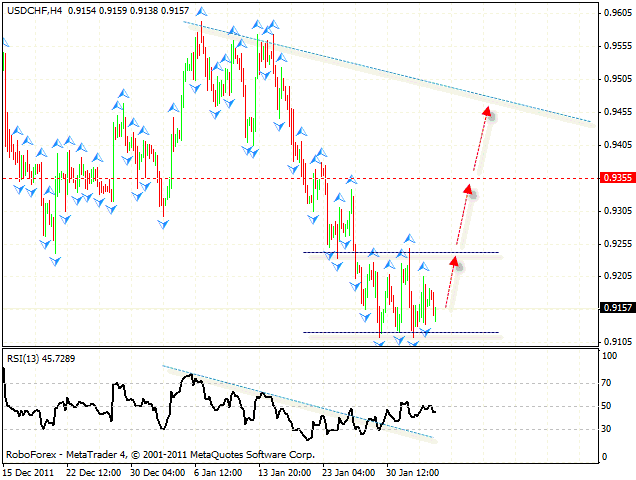 The breaking of the trend’s rising line at the RSI is an additional signal to sell the pair. At the H1 chart the RSI indicator faced the resistance form the trend’s descending line, we should expect it to rebound from the line and start falling down to the level of 1.3045. 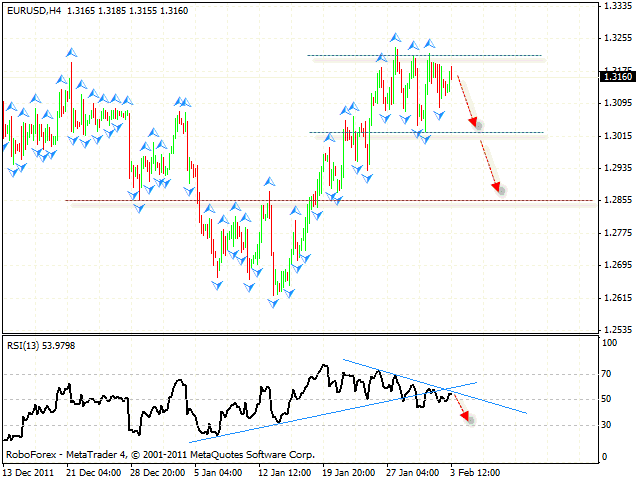 One can consider selling the pair with the tight stop above 1.3195. If the price breaks local maximums, this case scenario will be cancelled. Although Pound continues testing local maximums, the RSI faced the resistance form the descending line. We should expect the price to rebound from the current levels and start moving downwards to the level of 1.5495. 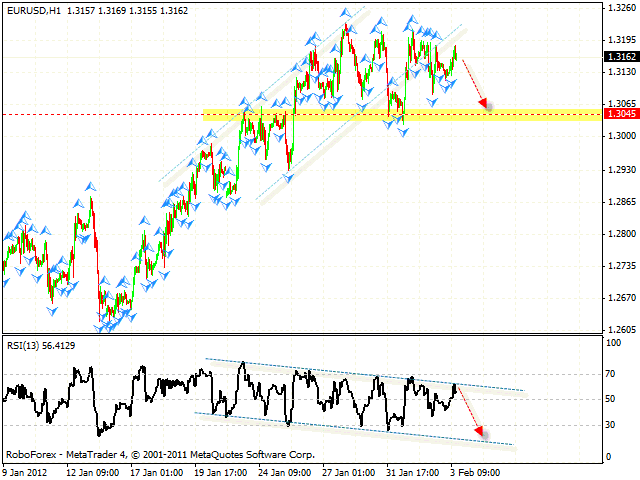 One can consider selling the GBP/USD currency pair after the price breaks the rising channel at shorter timeframes. 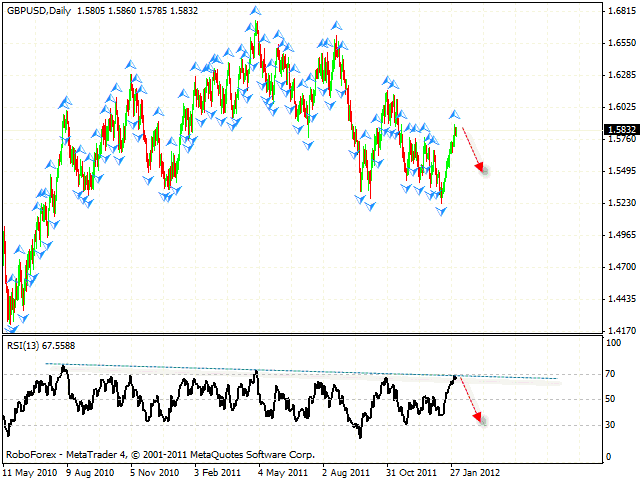 At the H4 chart of the USD/CHF currency pair the price is forming “double bottom” reversal pattern. One can consider buying Franc with the tight stop after the price breaks the resistance level. The final target of the pattern is the area of 0.9335. The next target will be the test of the trend’s descending line, the similar trend line has been already broken at the RSI. If the price breaks the level of 0.9105, this case scenario will be cancelled. 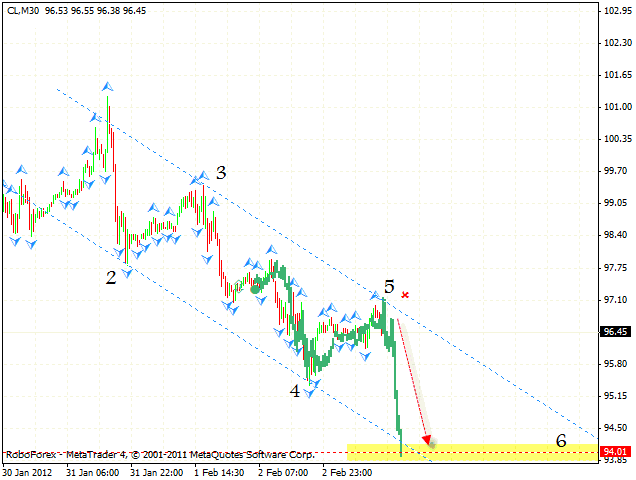 At the M30 chart of Oil we can see the formation of the descending pattern with the target in the area of 94.00. At the moment the price is testing the descending channel’s upper border, one can consider selling the instrument with the tight stop.